Our national response to Hurricane Matthew included 125 volunteers preparing more than 40,681 meals through two mobile kitchens and clearing more than 125 homes of debris and downed trees in North Carolina, South Carolina, and Virginia. Showers, laundry, and communications units supported each of these efforts. Our leadership of cleanup efforts concluded in Rocky Mount/Tarboro in mid-December 2016. Long-term rebuilding will continue in Virginia and North Carolina in the coming years. 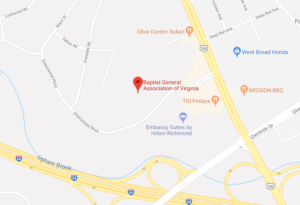 Long-term rebuilding opportunities are available in Virginia Beach/Chesapeake and in North Carolina through North Carolina Baptist Disaster Relief/Men & Women On Mission.